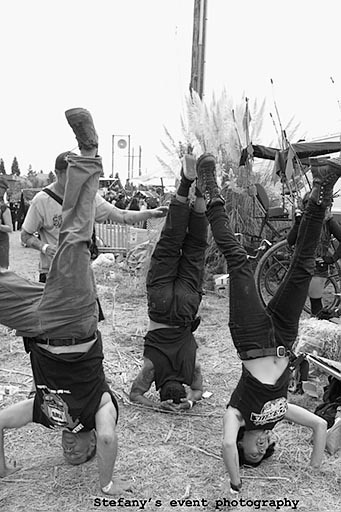 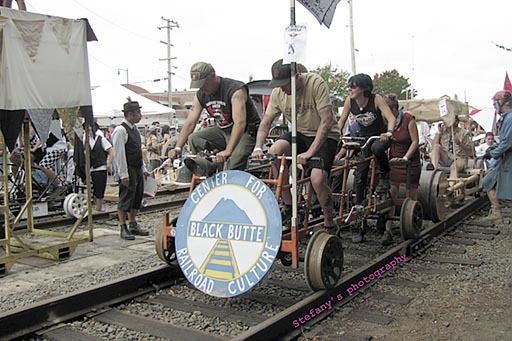 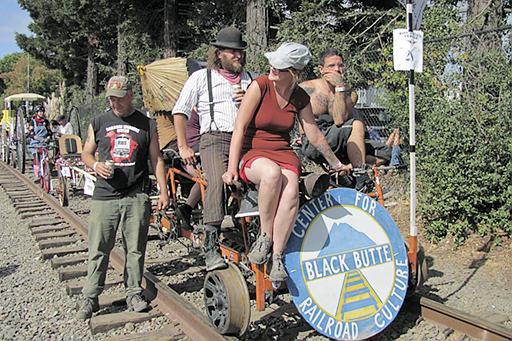 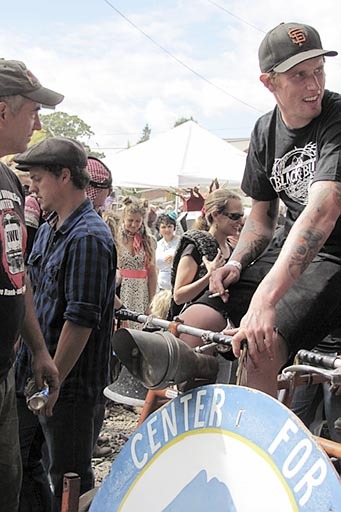 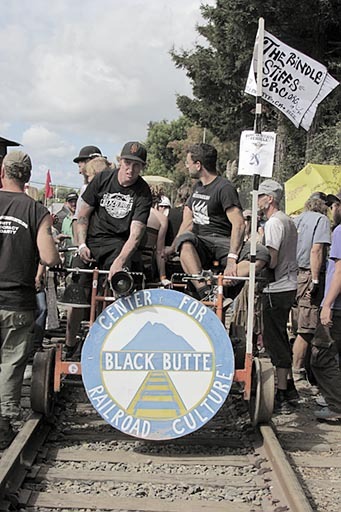 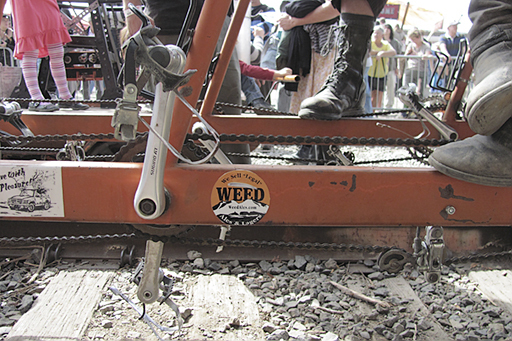 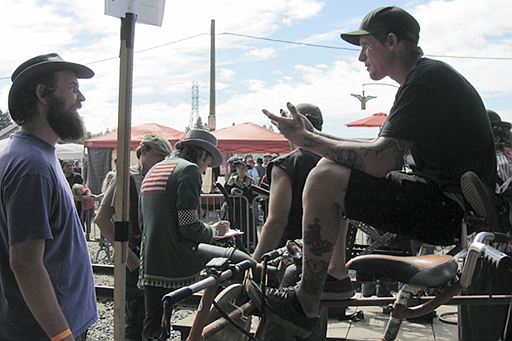 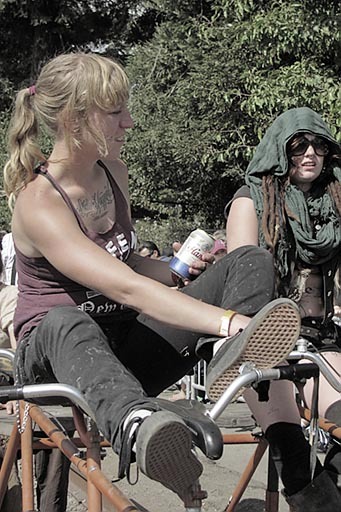 On September 26, 2011 the BBCRC took our six-person railbike, the "Bindlestiff Express", down to Santa Rosa for a second appearance in the "Handcar Regatta". 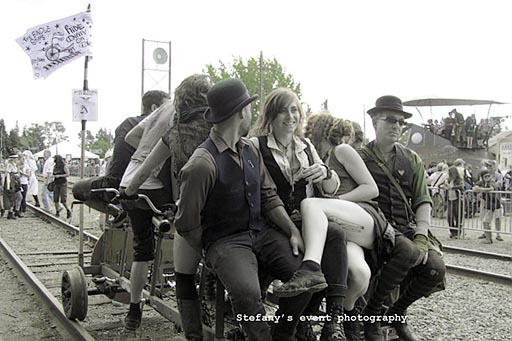 We were one of the fastest bikes on the tracks, although we were technically disqualified in the last round for having too many people (10) on our bike when we were only supposed to have four. 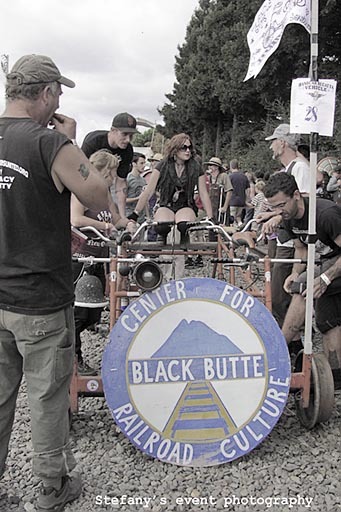 Thanks to the big group of Black Butte friends who showed up, rode, pushed, and cheered us on! 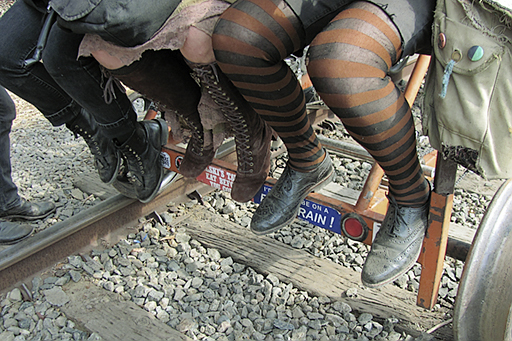 The photos below were taken by Stephanie Shaver — you can contact her at weedarts@gmail.com for high-resolution copies of these photos as well as many others of the regatta.